It wasn’t talk therapy that Michelle Wade’s client needed most during crisis. It was text therapy. 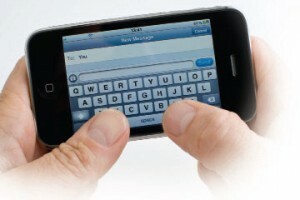 Generally, Wade tries to limit texting with clients to simply verifying or rescheduling appointments. But she acknowledges that she uses the technology when necessary, even giving each of her clients an individual code to send her so she can verify their identities. As for other technologies, Wade uses her iPad to play games with younger clients because she has found the approach keeps them entertained, engaged and talkative. She thinks Facebook can be a great avenue for counselors to advertise their services and says the social media site also holds potential as a tool to help clients talk in session about how others may perceive them. Wade has also heard of using Twitter to perform feelings checks with group members. While counselors must always keep in mind issues of confidentiality, Wade says the possible uses of technology and social media in counseling are limited only by the professional’s level of creativity. Wade isn’t alone among counselors in trying to utilize emerging technologies in an effort to more effectively serve and reach clients. With the technological landscape continuously expanding and with social media, smart phones and iPads quickly becoming a part of everyday life, a growing number of counselors are looking to incorporate new technologies into their work. These technologies aren’t yet free of potential drawbacks or ethical considerations, but many counselors contend that if used properly, they could open up a whole new horizon for the profession. Nathan Gehlert, a counselor who works at the Imago Center in Washington, D.C., agrees. Two-thirds of the global Internet population already visits social networks, Gehlert says, and time spent on social networks is growing at three times the overall rate of time spent on the Internet. “If you want to connect with those people and have their business, you really need to be there,” says Gehlert, who offers social media consultations to mental health professionals. Jencius points to a wide variety of social media, including social networks such as Facebook; wikis and blogs; microblogging sites such as Twitter; podcasts; video sharing sites; and virtual worlds such as Second Life. The term social media generally implies that information is sent out to a group of people, and those people then have the ability to respond to that information in some way, making it more interactive than past technologies have been, explains Jencius, a member of ACA. Social media offers counselors a valid advertising and networking platform, Jencius says, providing a venue where they can introduce themselves and the counseling profession to potential clients, while also supplementing their work with existing clients. Gehlert, also a member of ACA, echoes that point. “It’s a great way for counselors to put themselves out there and build a tribe of followers,” he says. Social media can help counselors connect with members of the community who aren’t already clients, Gehlert says. By getting conversations started on social media venues about particular topics in counseling, counselors can effectively position themselves as “gurus” on those topics, Gehlert says. By doing this, he adds, followers on social media are more likely to think of these counselors when they need help or when they want to refer someone else for help. Counselors shouldn’t overlook their current clients when using social media either, Gehlert says. For example, counselors might post articles relevant to their clients’ issues on a professional Facebook page, allowing current clients access to additional helpful information outside of session. Counselors can write these posts themselves or link to other articles and websites it would benefit clients to read. Counselors could also post book reviews, top 10 lists related to certain topics, links to community resources and links to videos. In addition, because an estimated 25 percent of people search for health information online, Gehlert believes counselors have a responsibility to share reliable information, address misleading information and help the public attain an accurate understanding of mental health issues. Social media is also an effective networking tool that allows counselors to connect with other professionals in their communities, Gehlert says. This can be helpful both in making referrals and in allowing counselors to advertise their own expertise and services to other colleagues, he says. To get their feet wet with social media, Gehlert recommends that counselors seek out workshops or find someone in their area who offers consultations. Then, start small. Facebook is an easy place to start, he says, because most people are already familiar with it. Counselors can establish a professional Facebook page for their practice. But because the page automatically will be linked to any personal Facebook page that the counselor might have, Gehlert warns that counselors should maintain the highest level of security on their personal pages. Telephones have allowed counselors to reach clients at a distance for years, but today there are a host of additional options for distance counseling. DeeAnna Merz Nagel, a private practitioner in Atlantic Highlands, N.J., and cofounder of the Online Therapy Institute, says online therapy is defined as therapy delivered via technology, including by phone, e-mail, discussion forums, chats, instant message, videoconferencing and virtual worlds. Nagel, who is managing coeditor of TILT Magazine — Therapeutic Innovations in Light of Technology, points out that online counseling is not a modality but rather a method of delivery. Within that delivery, she says, a counselor can utilize various modalities. Nagel sees the benefits of online counseling as wide ranging. 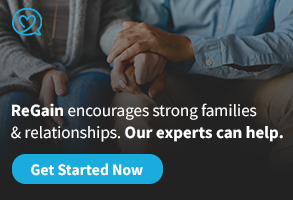 One of the primary advantages is that it allows practitioners to reach a larger client base, including clients who live in rural environments, those who have disabilities, those who are afraid of potentially bumping into other community members at a counselor’s office and those with social phobias who might not leave home. 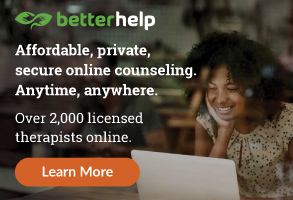 On the negative side, Nagel says counselors should be aware of online therapy’s “disinhibition effect,” which can cause clients to disclose too much personal information too quickly and then leave a session feeling very vulnerable. Counselors interested in offering online counseling should know up front that it is unlikely to make up 100 percent of their business, Nagel says. “A lot of therapists think they can hang their virtual shingle and the clients will come in droves, and that is not the case,” says Nagel, a member of ACA’s task force on cyberspace and technology. She recommends counselors begin online work as an adjunct to their brick-and-mortar practices, offering online services to existing clients. E-mail therapy can be challenging, Nagel says, because it requires counselors to have excellent command of the language, both to minimize the number of possible misunderstandings and to clarify those that inevitably arise. E-mail therapy probably has the steepest learning curve, she says, with online chats being a little more similar to face-to-face communication and video conferencing even more so. But the online therapy that Nagel thinks offers both the most potential and the most risk is avatar therapy using virtual worlds. Some counselors are beginning to conduct therapy in Second Life, an online virtual world. Nagel doesn’t recommend this because Second Life is not secure and encrypted, but she says other platforms are being created that will be more geared toward health care delivery. Nagel uses Second Life as a tool in session with clients only if they want to show her the worlds they’ve created, which she equates to bringing a journal entry to session. Supervision is another element of counseling that can be aided by technology and conducted from a distance. However, Nagel, who conducted online supervision for about six years while living in Georgia, says using online clinical supervision for the purpose of obtaining licensure can be tricky. She recommends checking with state boards ahead of time to ensure the hours will count. Go to the board and explain very specifically how the online supervision will occur, she says, and then ask the board to approve or disapprove it. Nagel says the Online Therapy Institute offers two courses on the topic for counselors interested in starting online supervision. Wade adds that the ability of video-conferencing programs to offer live, face-to-face supervision through webcams negates one of the criticisms of technology-based supervision: the loss of nonverbal communication. She also points to sites such as voicethread.com, where videos can be uploaded to a secure server. “Say a supervision assignment is to videotape a mock therapy session. One can post the video into the voicethread.com class account, and the supervisor and peers can comment either by text, webcam or audio,” Wade says. Integrating technology into supervision requires careful thought and preparation, Wade says. “I think the thing to keep in mind as a supervisor is whether or not technology is useful and how to use it in the best possible way to train, not just to use technology because you can.” The major challenges with distance supervision include ensuring security and confidentiality, she says, as well as acquiring the necessary knowledge to use the technology effectively and preparing a backup plan in case the technology fails — for example, in a power outage. Another benefit is that counselors can post resources and information online that might encourage the public to feel more normal about seeking help, Jencius says. For example, if a counselor posts information about phobias and an agoraphobic person comes across the information, that person might feel less stigmatized about working with a counselor on that issue. Confronting stigma is one of the most important reasons for counselors to maintain a strong presence online, Gehlert says. “If you think about the online world as a marketplace, there’s a big conversation going on in that marketplace. 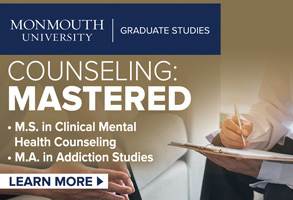 The more mental health counselors who are engaged in that conversation, putting out more and more informative information, normalizing issues that people are struggling with, the more stigma can be reduced.” If someone comes across a counselor talking about the issues that person happens to be struggling with, it might provide that individual a sense of normalcy and an impetus to get help, he says. Promoting yourself online or offering online counseling also tends to break down some of the barriers that typically prevent potential clients from showing up at the office door, Jencius says, whether because they feel stigma about a particular problem or simply because they don’t necessarily take notice of a counselor’s office in casually passing by. In addition, Jencius says, opening communication with a counselor online can feel less threatening to some clients who wouldn’t reach out otherwise. “Sending an e-mail or a Facebook message might be easier than starting with a 15-minute introduction or dropping by the counselor’s office,” he says. At the agency where Gehlert works, counselors use another facet of technology in their work: storing electronic medical records with the free iPad app called drchrono. The program allows them to complete a variety of tasks, including billing, scheduling appointments and taking notes, using a tablet instead of waiting to boot up their computers. “It really does streamline the process,” Gehlert says. This is why some counselors take issue with new technologies, Jencius says — because they’re worried clients will expect them to be available at all times and expect responses to anything clients post via social media. 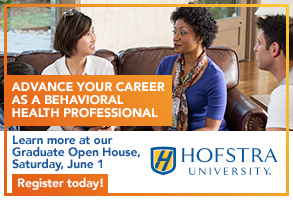 But Jencius says counselors can establish their own individual boundaries about what is right for them in professional practice. He does, however, caution counselors to pay close attention to privacy settings and to “do a good job of editing themselves before they push the post button.” If photos of a counselor doing shots at a friend’s party surface on Facebook, it’s entirely possible that could affect the counselor’s employment status and reputation down the line, Jencius says. When the ACA Code of Ethics was last revised in 2005, social media wasn’t the popular and powerful societal force it is today. In part to address social media’s ethical implications as they relate to counseling, ACA announced earlier this year that it is undertaking a major revision of its ethics code. The goal is to release the revision in its final form in spring of 2014. Let clients know your policies and boundaries concerning how you’ll connect with clients online, Gehlert says, and stress that the reason for those boundaries is to protect their confidentiality. Counselors using electronic medical records should let clients know their information is being stored that way in the informed consent and explain the level of security protecting those records, he adds. Gehlert also advises that counselors should never search on Google or social media sites for information about their clients. A counselor’s natural tendency is to be as helpful as possible, so looking for information to better understand clients might seem like a good idea. But it’s not, Gehlert insists. “It’s up to the client to decide what to bring in [to counseling],” he says. Nagel says the Online Therapy Institute offers a number of ethical frameworks for the use of technology and social media in the mental health fields. She recommends counselors desiring to integrate technology into their work seek training on a variety of topics, possibly including crisis intervention, handling yourself online in a professional manner, transferring your face-to-face skills online and understanding cyberculture. In addition to trainings offered through the Online Therapy Institute, Nagel points to opportunities at the ACA Annual Conference & Exposition as well as the Distance Credentialed Counselor training offered by the Center for Credentialing and Education. Nagel agrees that a counselor’s informed consent policy needs to cover as much information as possible, including social media presence, online record storage and security. Nagel’s own informed consent says she will only communicate via encrypted channels, which means she doesn’t talk to clients calling from cell phones. Counselors who choose to communicate with clients on cell phones need to inform clients about the security risks, Nagel says. Although conceding it’s possible for someone to become immersed in a virtual world or another technology that is ultimately bad for them, Nagel says counselors should avoid jumping to the worst conclusions. The advent of television and telephones worried many people at the time, says Nagel, adding that with every new technological breakthrough, society first tends to swing to an extreme before eventually finding a balance. Kelly Erney, one of Beto Davison Aviles’ former counseling students at Bradley University, first introduced him to video self-modeling when she showed her peers in Davison Aviles’ internship class some videos of her preschool students using video self-modeling to learn. Davison Aviles, an associate professor of education and coordinator of Bradley’s professional school counseling program, was hooked, and the pair ended up presenting on the topic at the American Counseling Association Annual Conference & Exposition in New Orleans earlier this year. 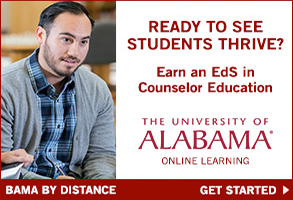 “School counselors can use video self-modeling to help students learn pro-social behaviors and develop academic success skills, like following directions and improving time on task,” says Davison Aviles, a member of the American Counseling Association and the American School Counselor Association, a division of ACA. The idea was developed by Jessica Roberts, author of Success Stories: Using Video Stories to Connect, Communicate and Create True Success With Your Students, for use with kids who are developmentally delayed, Davison Aviles says. A school counselor can “direct” a short video clip, walking the student through an appropriate social interaction or task while taping it. Then, when the student needs help accomplishing that task the next time around, the student can watch himself or herself complete the task in the video, whether on a laptop, a smart board or somewhere else in the classroom. “School counselors seeking to improve pro-academic behaviors such as following directions and increasing time on task can use video self-modeling,” Davison Aviles says. “Video self-modeling can also be used to teach social skills, the ability to play with others and the ability to initiate and engage in conversations.” In ways not yet fully understood, video stories seem to help students who have not responded to traditional face-to-face or group interventions, Davison Aviles says. Taking the approach one step further, Davison Aviles suggests a school counselor could post a video story on a social networking site so parents could access the video to help their child after school hours. Another opportunity tied to social media is to have parents use video-conferencing programs to connect to their child’s schoolroom during the day, Davison Aviles says. The parents can then see the child accomplish certain tasks and provide real-time reinforcement, he says. Very interesting read. I believe this topic is relevant now more than ever with the ever-expanding use of social media and technology. It is easy to understand how many younger adults would prefer to have contact using something they are comfortable and familiar with. I’m interested to see the ACA’s take on the use of social media in counseling. Thank you for this great read. I am about to open a marriage counseling manhattan clinic. I think it would be very cool to be able to use some social media with my practice. Thanks for the post, it gave some great tips and pointers. Thank you for writing such a thorough article that covers all the aspects of social media and other technology! This is the first article I’ve come across that covers the entire range from a single, authoritative viewpoint. I’ve been actively using twitter, facebook, and our blog to promote and build our practice for over two years now. With my adolescent clients, texting is a must. Since the NASW doesn’t have an official policy yet either, I am constantly seeking information from others about best practices. This is challenging, as in central Indiana, I am already more tech savvy than most of my professional peers! Thanks again.